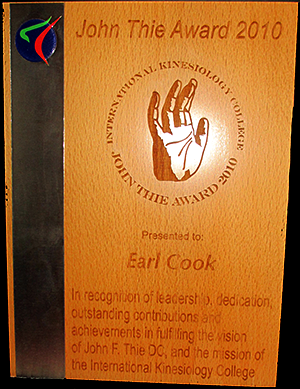 Earl Cook is an instructor approved by the International Kinesiology College (IKC) through the Touch for Health Kinesiology Association (TFHKA) in the USA. 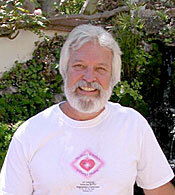 Earl has been using Touch for Health (TFH) since 1976 and became an instructor in 2005. Continuing Education Credits (CE's) and Professional Development Certificate (PDA's) are provided through TFHKA which is approved by national governing bodies for multiple professions. IMPORTANT: While these CE/PDA certificates are issued through TFHKA, which is approved by the specified national governing bodies, it is the student's responsibility to check with their local professional boards to ensure that the certificates issued will be accepted. With laws constantly changing, the final responsibility to take TFH classes in order to receive CEs rests with the student. Earl was awarded the TFHKA Instructor of the Year for 2016-2017.
for Professional Development Activity (PDA) Credits. The Touch for Health Kinesiology Association (TFHKA) was approved by the Board of Registered Nursing in California, but this certification has been discontinued due to costs. TFHKA is actively working to replace this certification. as a Continuing Education Provider. 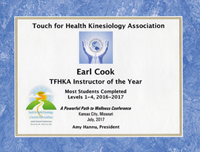 The Touch for Health Kinesiology Association (TFHKA) is approved by CE Brokers, Georgia and Florida Massage Therapy Certificate Agent as a Continuing Education Provider. Provider # 50-17757. Many changes in laws have been proposed related to Massage Therapy in many states, our state of Georgia being one of them. Some changes in the laws have been proposed in the Ga. state legislature in committee in 2018 but they never made it to the floor for a vote. For that reason, we have the following notes for MT's wishing to receive CE's. 3. The Georgia Massage Board turned over the management of MT CE's to CE Broker in 2015. 7. Proposed laws for the MT board never got out of committee in 2018 and were not up for a vote. 2019??? *While we do our best to stay current with the laws of our state, we must emphasize that it is the responsibility of the student to ensure that the CE's issued by us will be accepted by their local governing body. Touch for Health, eTouch for Health, the Touch for Health classes and eTouch for Health workshops are not used for the diagnosis or treatment of disease or serious illness or injury. Always consult professional healthcare providers for serious and life-threatening health issues.